Gigahertz-Optik's X1-1 Radiometer/Photometer is suitable for universal use in any UV - Visible - Near Infrared radiometric and photometric application with appropriate light detector. Four-channel multiplexed technology allows this X1-1 radiometer/photometer to operate and display up to four detector measurements at the same time. A cost effective multi-spectral band filter radiometer can be assembled using four single sensor detector heads with the X1Z-03 detector adapter. 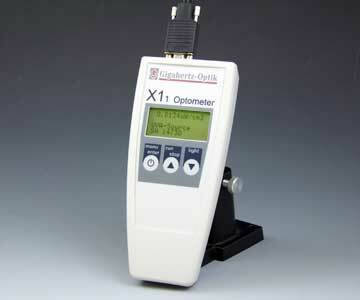 Technical, software and light measurement accessory components information for the X1-1 Radiometer/Photometer. You need to outfit your field service team with UV radiometers for set-up of your UV process chambers and for future troubleshooting. The instrument must measure both UVA and UVB efficiently, accurately and with minimal handling. 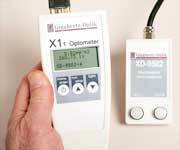 Download the X1-1 Radiometer/Photometer Technical Data Sheet pdf file. 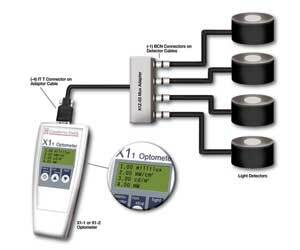 Interested in discussing your light measurement application? Give us a call!